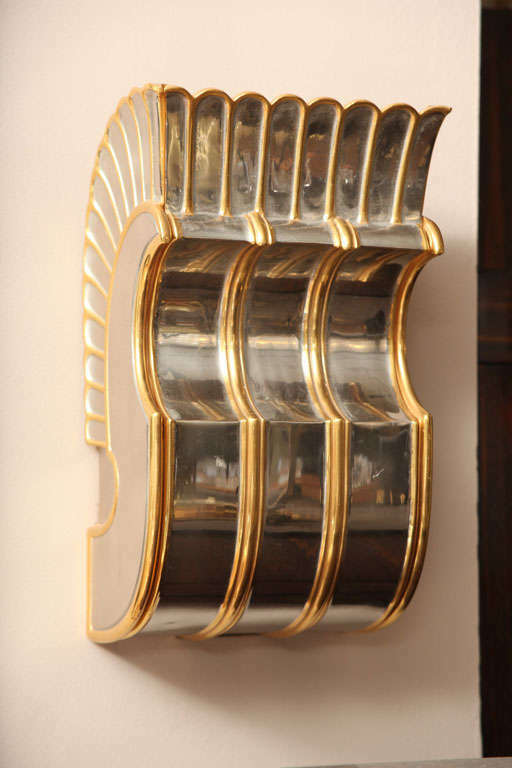 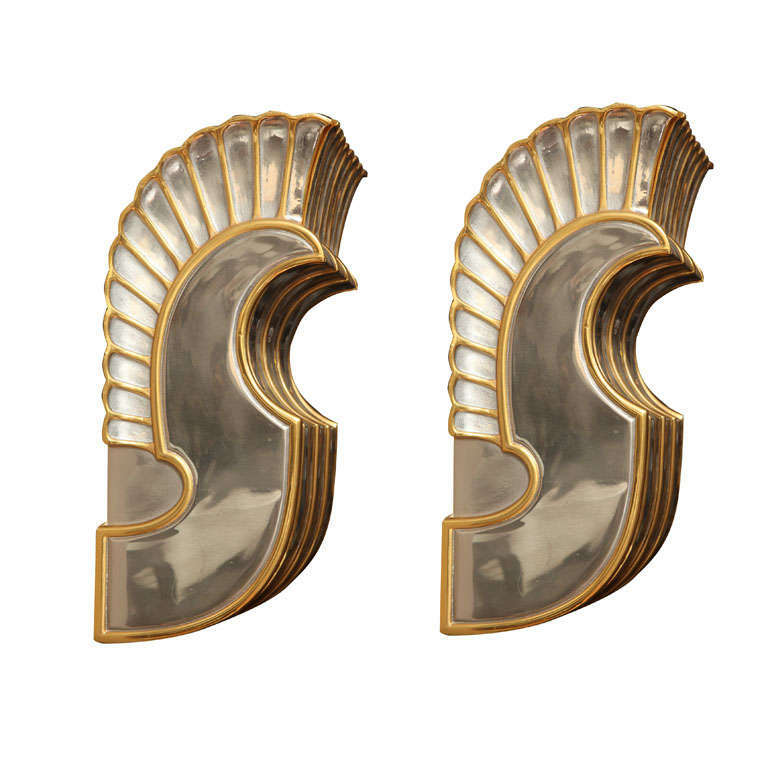 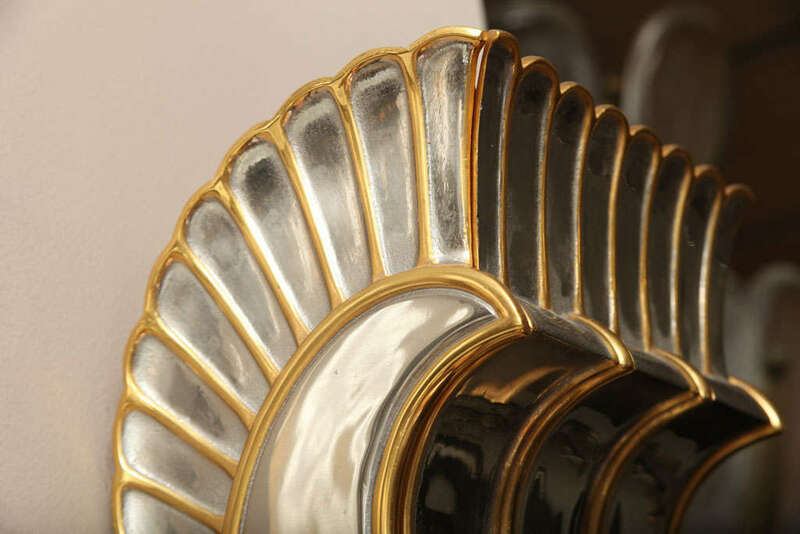 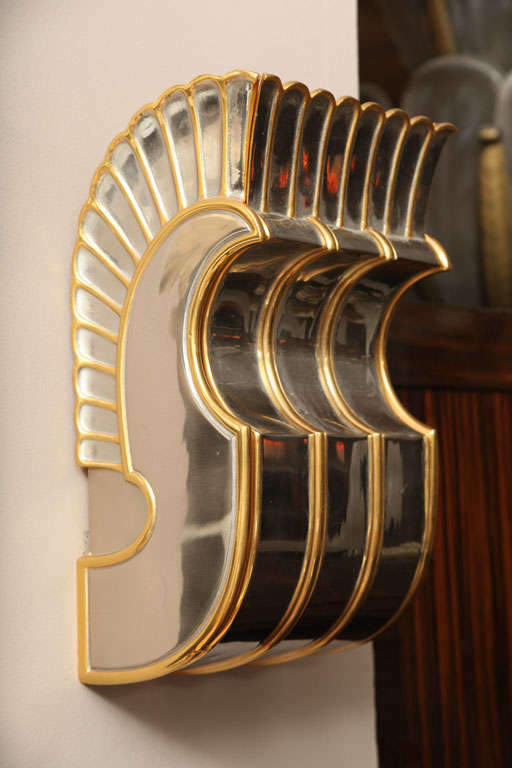 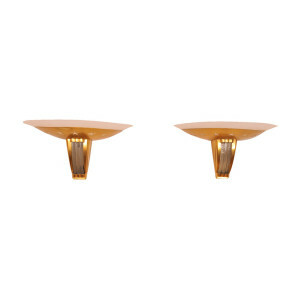 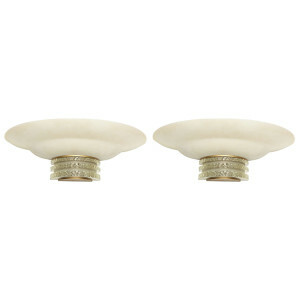 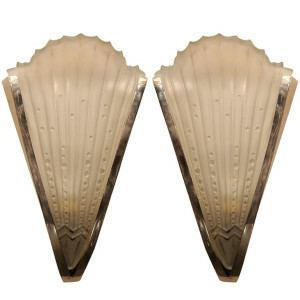 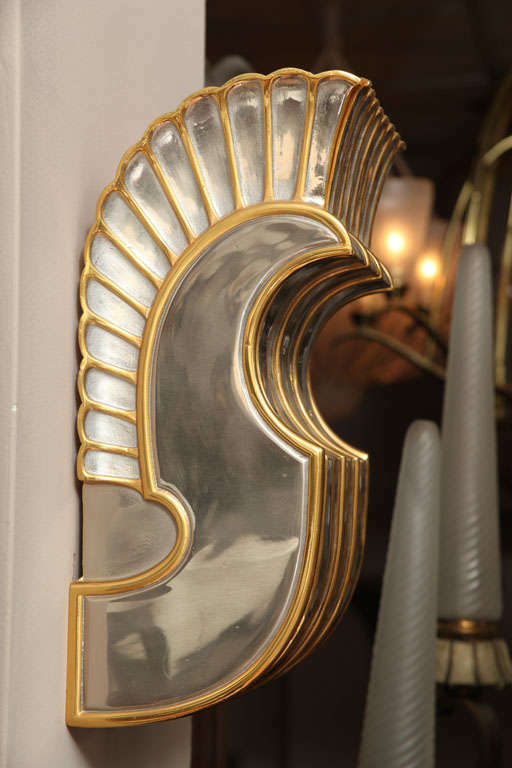 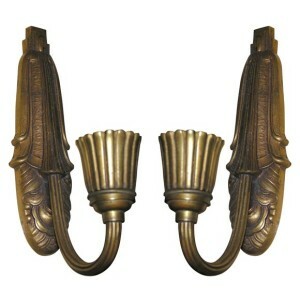 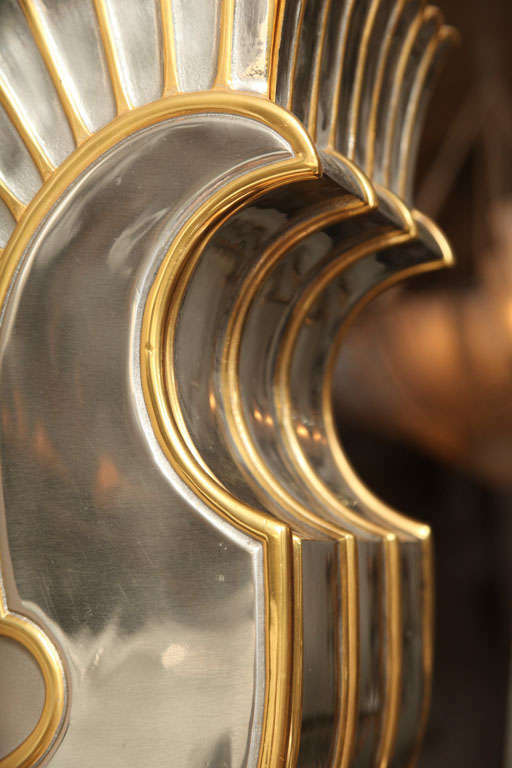 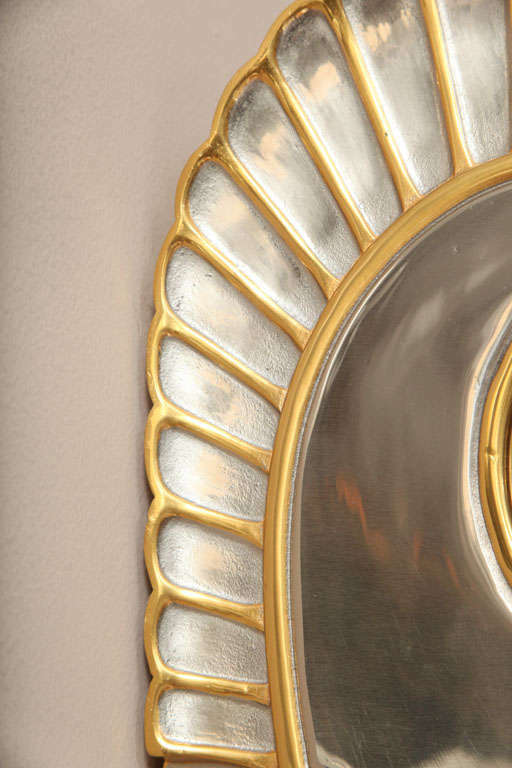 French Art Deco sconces by Sabino. 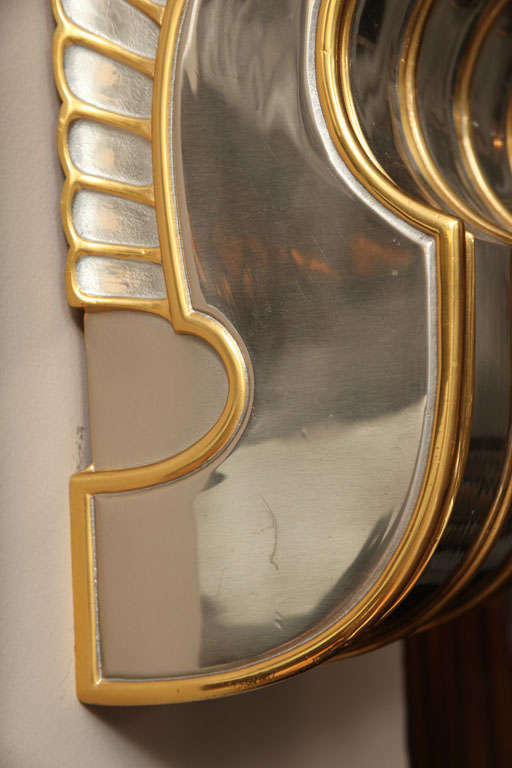 The brass backplates can be plated in nickel or silver. 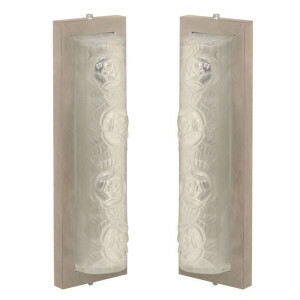 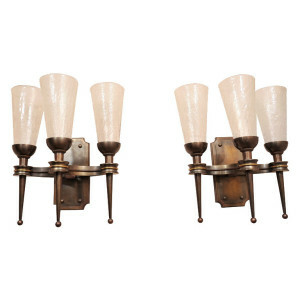 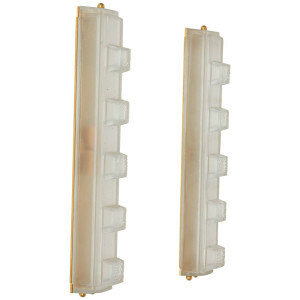 Pair of Art Deco wall sconces with thick frosted glass shades supported on rough cut glass slabs set between brushed brass mountings. 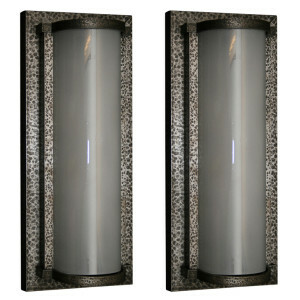 Height: 6” (15 cm), Width: 19” (48 cm), Depth: 10” (25 cm).